Rory has welcomed recent figures showing that rising superfast broadband coverage has boosted the national turnover of local businesses by £9 billion. Newly released figures published by the Department of Culture, Media and Sport show that national superfast broadband coverage has now reached 95.39% while, in the North West, 96.31% of homes and businesses now have access to superfast services. This increased national coverage is calculated to have created 49,000 local jobs, and is worth some extra £9 billion to the UK economy. MPs from across the country have campaigned on this issue, in recognition of the benefits brought by broadband connectivity, and in order to ensure that the government continues to set itself ambitious targets. As a consequence, work is ongoing to extend coverage, with more than 1 million extra UK homes and businesses expected to gain access to superfast speeds over the next few years, taking coverage to 98% nationwide. The Government has introduced a Universal Service Obligation meaning everyone will have access to fast and affordable broadband by 2020, and plans are in place to deliver nationwide full fibre connectivity by 2033 as part of the modern Industrial Strategy. Since his election in 2010, Mr Stewart has actively campaigned for increased coverage, in recognition of the advantages that it brings to rural, often isolated communities in Cumbria. He has been particularly focused on the benefits that it brings to businesses, and recently visited Rutter Falls Self Catering Holiday Cottages to meet with Jim and Jane Wilson and hear first-hand the effect that it has had on theirs. 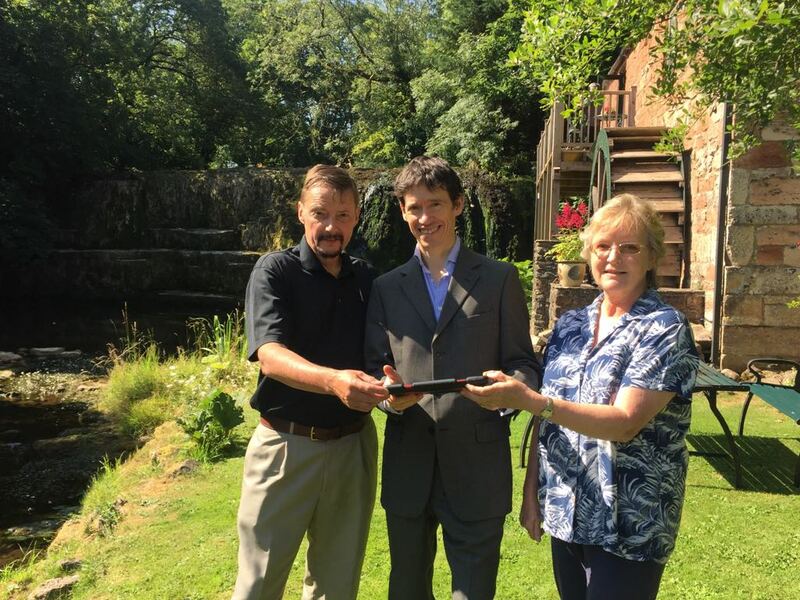 The Wilsons have benefitted from the Connecting Cumbria project, a partnership between Cumbria County Council and BT, which aims to bring superfast broadband coverage to 95% of Cumbria’s homes and businesses by the end of the year and has, so far, enabled some 700 fibre structures. Mr Stewart keeps in close contact with local providers, to assist in implementation and to monitor developments.